When you think of home security, your first thought is probably technology such as CCTV or burglar alarms which can stop an intruder. However the outside of your home can also prove a deterrent to criminals – or an invitation. Taking time to improve your garden and making it unattractive to burglars is a relatively affordable way to increase your home security. It’s time to see your garden as a multi-purpose asset. Yes it can look pretty and be enjoyed by your guests, but at the same time it can be your first tool to protect your property. Read on for expert security tips that you’ll wonder why you didn’t think of yourself! The boundary of your garden can be protected with fences or hedges – but fences are much easier to climb over. Make it difficult by adding a trellis and growing thorny hedges or thorny climbing roses. Dense, thorny hedges are much more difficult to climb over and can stop criminals from even trying. Try berberis or blackthorn. Large gardens are hard to maintain, but if you let them get unruly then they can be a haven for burglars. 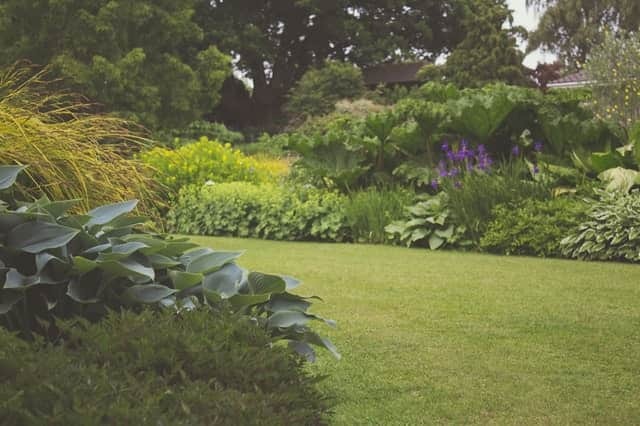 Overgrown bushes, skips and other debris can create ideal hiding places for intruders and criminals, so it’s best to keep a tidy garden for security reasons as well as aesthetic reasons. Another deterrent you should consider for your garden is outdoor lighting. These security lights have motion sensors so they light up as someone approaches the property. This could alert you to an intruder before a break-in occurs during darkness, or if you’re not at home it could alert your neighbours. Most burglaries take place during darker hours, so it’s important to install these kinds of security features. Even if you don’t keep anything particularly valuable in your shed, it’s important to keep it securely locked to deter criminals from entering your garden. Without a lock on the shed, you are giving intruders access to a range of tools and equipment that they could steal or then use to break into your home. When it comes to home security and protecting your property and family, don’t forget about your garden – the first entrance.